Although the Ilya Kovalchuk sweepstakes haven’t fully kicked into high gear yet, rumors have already begun to swirl as to where the versatile Russian will be suiting up come October. 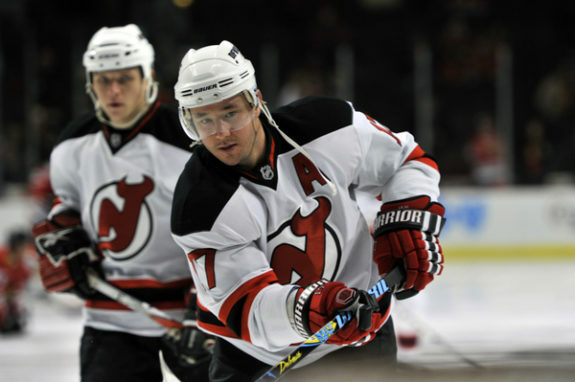 The 34-year-old has expressed interest in returning to the NHL after a four-year stint with SKA Saint Petersburg of the KHL, and teams have begun lining up outside of New Jersey Devils general manager Ray Shero’s door in pursuit of Kovalchuk’s services. A player with a 200-foot game who can run a power play rarely becomes available, so it’s easy to comprehend why the former 2001 top overall pick’s signature will be so sought after this summer. One team that reportedly has an interest in landing the lethal winger is the New York Rangers. Despite Igor Eronko of Eurosport.ru signaling that the Blueshirts would no longer be in the running for Kovalchuk (which was quickly debunked by Larry Brooks of the New York Post), the two would be a fit. Alain Vigneault’s club could use some help on the man advantage and Kovalchuk doesn’t appear opposed to the Broadway spotlight. 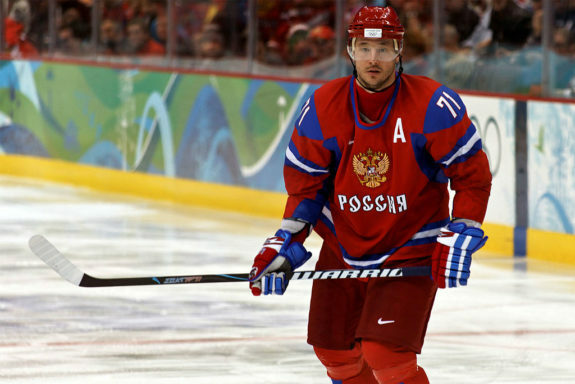 Jeff Gorton, however, would be wise to steer clear of a potential Kovalchuk marriage. With the Devils in rebuilding mode following another disappointing season, the return for Kovalchuk would involve young talent coming New Jersey’s way. Shero needs building blocks to create a potential contender in the future. So that likely means a young center and either a high-level prospect or high-end draft pick. Gorton does have this at his disposal, but it doesn’t make much sense for him to give into Shero’s demands. 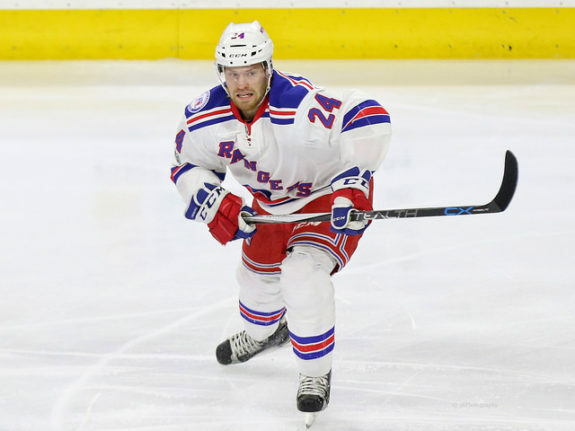 The Rangers would either be forced to move Oscar Lindberg or even Kevin Hayes (much less probable) along with a second or third-round draft pick just to acquire Kovalchuk’s rights. There is simply no way that Gorton would consider such an offer, given that the Blueshirts would be left with a gaping hole down the middle of their lineup while also losing a top pick, something they have lacked in recent drafts. Oh yeah, and there’s his contract. Many foresee the former 50-goal scorer commanding north of $5 million annually over at least three years. With the Rangers already pressed for cap space, signing Kovalchuk would mean the end of Rick Nash’s tenure in the Big Apple with other potential casualties not out of the picture. There are just too many hoops to jump through for this move to actually help the Rangers. Unfortunately for the Rangers, there are just too many other holes in the lineup that require aid before they can even begin to talk about Kovalchuk. The blue line needs a complete overhaul, with staples Dan Girardi and Marc Staal on the decline. A hefty check will be needed to keep deadline acquisition Brendan Smith in town. A grand sum of money is required if Kevin Shattenkirk opts to return to his home state. Another goaltender could become necessary for the Rangers if Las Vegas selects Antti Raanta in the expansion draft. Additionally, the Rangers should enter next season with limited questions on either wing. Any winger they could lose in the expansion draft (most notably Michael Grabner and Jesper Fast) can be changed with a deal between Gorton and Las Vegas Golden Knights GM George McPhee. Adding Kovalchuk would be great if the Rangers didn’t have such glaring needs defensively or, potentially, in net. This year’s free agent class isn’t one that possesses great offensive prowess, but there are some cheap adds that can prove to be valuable for a team like the Rangers. How about a former captain in Jaromir Jagr? The 45-year-old still manages to produce at a high level and could be a good addition for the Rangers on the power play. Or even veteran sniper Thomas Vanek, who had a bounce-back season with the Detroit Red Wings and Florida Panthers after a disappointing two seasons with the Minnesota Wild. Joe Thornton could also be a fine fit as a two-way player who can aid on the Rangers’ troublesome man advantage. These guys may not equate Kovalchuk’s production on the ice. But if the Rangers look to add a forward, there are more efficient ways of going about it than giving the kitchen sink for a guy who hasn’t played in the NHL in four years.